Funcom's first console release since 2006 dated. Funcom will launch its single-player psychological horror experience The Park digitally for PlayStation 4 and Xbox One on May 3, the developer announced. The game marks Funcom’s first console release since Dreamfall: The Longest Journey for Xbox in 2006. In The Park players step into the shoes of Lorraine, a mother whose son goes missing at the Atlantic Island Park. 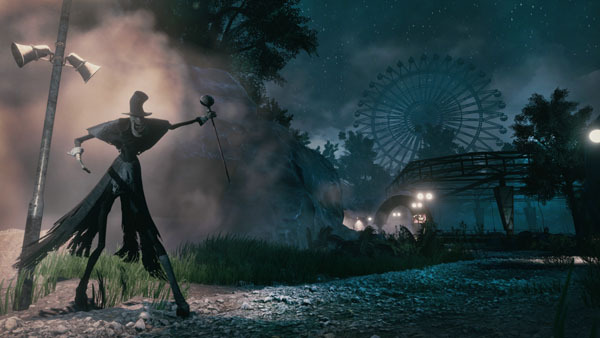 Here players must explore the dilapidated amusement park and face panic and paranoia as they progress unravel Lorraine’s story and the history of the park itself. Focusing entirely on intense storytelling and exploration instead of combat and action, The Park draws inspiration from other first-person exploration games such as Gone Home, Dear Esther, and The Vanishing of Ethan Carter. The Park first launched for PC on October 27, 2015.